The three day programme will be organised in sequential sessions with keynote presentations by invited experts and other presentations by contributing authors. Young researchers are particularly welcome to participate. It is intended to allow plentiful opportunities for open discussions during the Workshop. 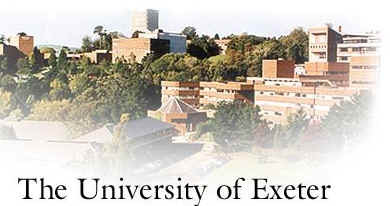 The workshop will be held in the main lecture theatre in Baring Court, at the St Luke's Campus of the University of Exeter.